Per the Seller: The boat has been well maintained and stored under cover. The seller has really babied this boat, and it shows. The Gel coat is bright and shiny; vinyl is in perfect condition. 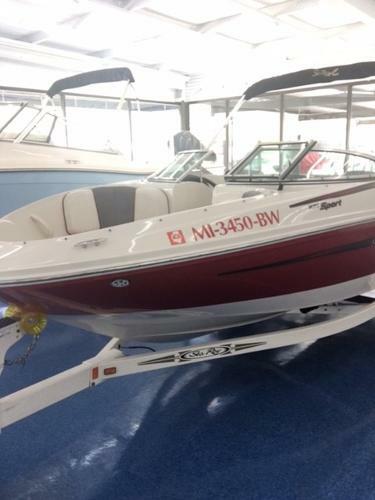 Per the Seller: The boat has been well maintained and stored under cover. Seller spares no money on maintenance, nothing but the best, new SEI stern drive just installed. Stock #119660 READY TO CAMP ON THE WATER?? WELL MAINTAINED! WILL EASILY RUN 45MPH AND VERY FAST OUT OF THE HOLE! KEPT IN DRY STORAGE AND MUCH MORE INCLUDED! If you are in the market for a cuddy cabin, look no further than this 1994 Sea Ray 220 Overnighter, just reduced to $11,900 (offers encouraged). 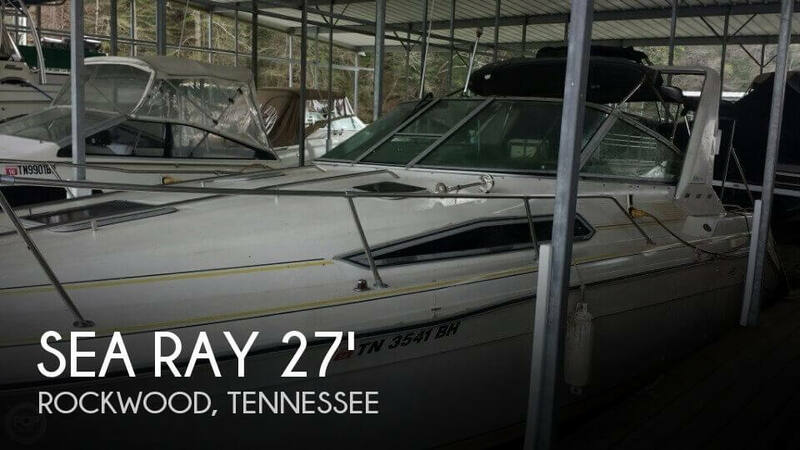 This boat is located in Chattanooga, Tennessee and is in good condition. She is also equipped with a Mercruiser engine that has 450 hours. Reason for selling is to many toys. This vessel is in top notch condition. And with only 30 hours, you will have the peace of mind that comes with a Mercruiser in great condition. Feature Dynamic display, awesome sound system and Blue LED lighting. A water sports tower and swimming platform. Stock #166074 250 SLX with the next generation, durable sterndrive mercruiser engine with only 30 hours! 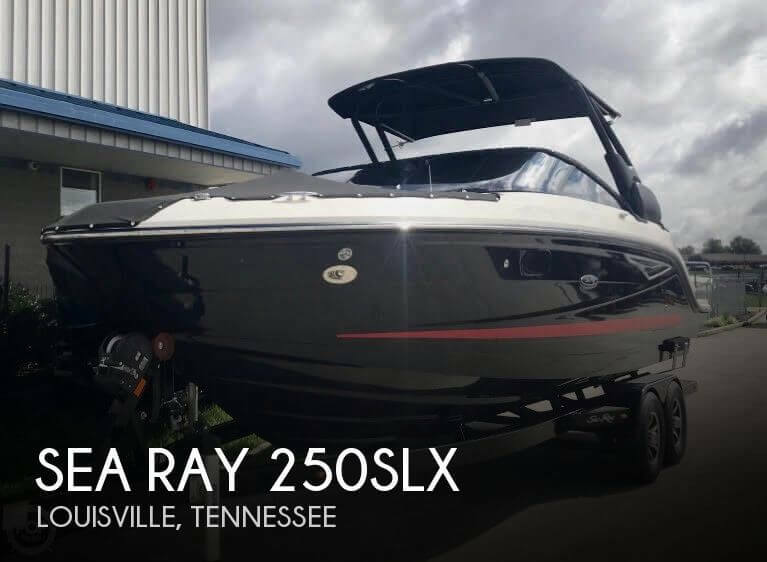 If you are in the market for a bowrider, look no further than this 2017 Sea Ray 250SLX, priced right at $111,500 (offers encouraged). 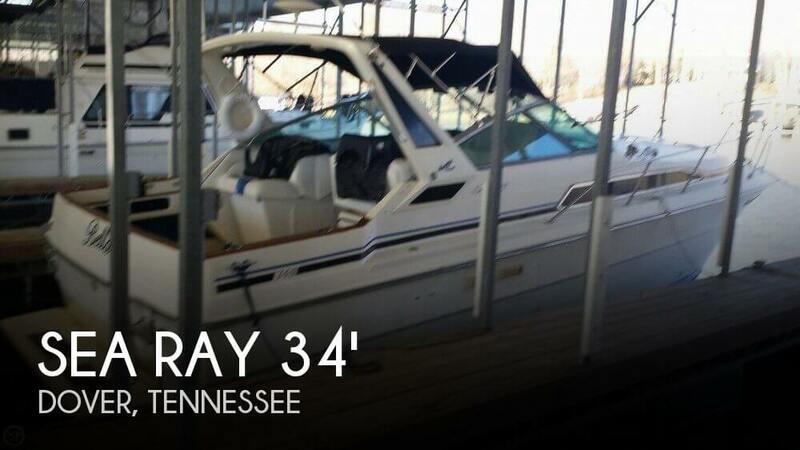 This boat is located in Louisville, Tennessee and is in good condition. She is also equipped with a Mercruiser engine that has only 30 hours. Reason for selling is changing boats. 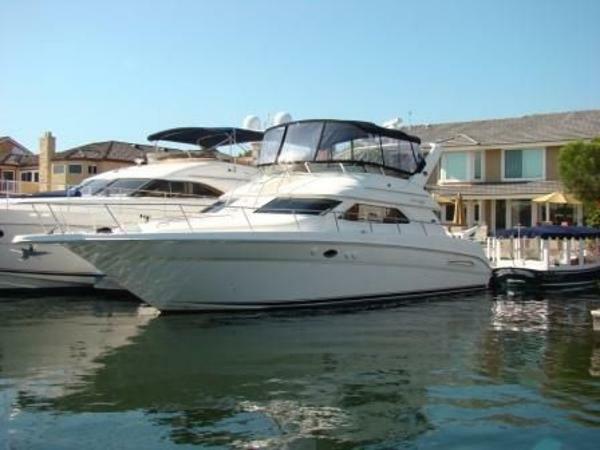 Per the Seller: This 1987 Sea Ray 340 is very clean and has been well maintained. All features are working properly. She has no issues. The Galley of this boat is in wonderful shape. All appliances are in great working order. Stock #151203 Professionally Maintained 340! Low Hours On Twin 7.4 Merc V-Drives! Spacious Salon and Galley With Forward V-Berth And Head! If you are in the market for an express cruiser, look no further than this 1987 Sea Ray 340, just reduced to $14,250 (offers encouraged). This vessel is located in Dover, Tennessee and is in great condition. She is also equipped with twin Mercruiser engines that have 1,140 hours. Now is the time to make a move on this on. Sellers are ready to start new adventures and you can start yours as well. Get this one under contract and find out what life has in store for you today. DON'T WAIT!!! Stock #110734 Make an Offer! 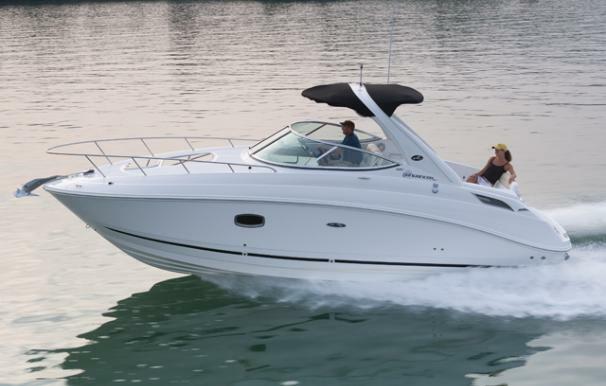 This 290 Sundancer is the perfect sized cabin cruiser! Loaded and ready to be your home away from home! 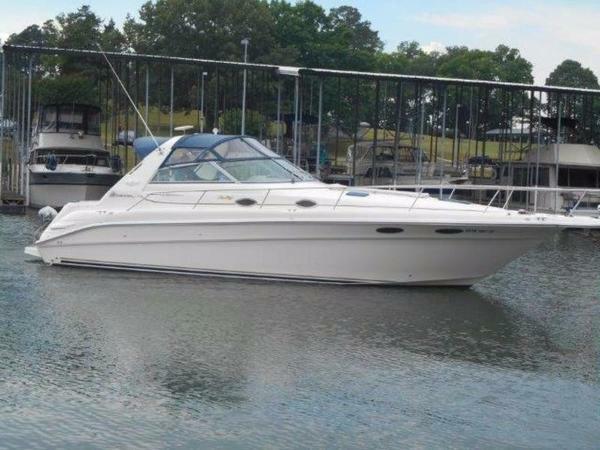 If you are in the market for an express cruiser, look no further than this 1995 Sea Ray 290 Sundancer, just reduced to $15,000 (offers encouraged). 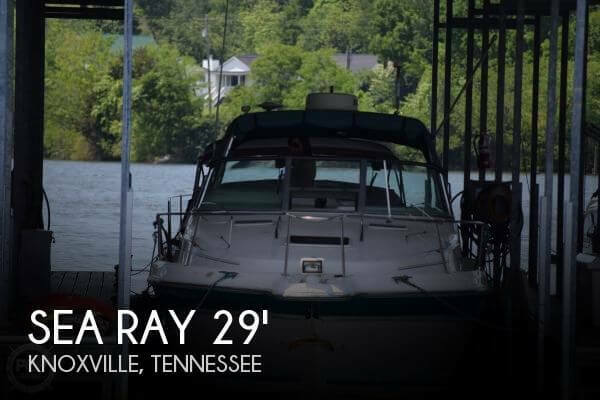 This vessel is located in Knoxville, Tennessee and is in need of some work. She is also equipped with twin Mercruiser engines that have 800 hours. Reason for selling is ready for new adventures!!!. According to the owner, all systems are in good working order including: the Present owner has maintained the boat to a T for 18 years and it's in excellent shape Bilges are clean, no oil leaks, Bottom paint touched up last year, no growth on bottom, one blister on the stbd side rear the size of a quarter so it wasn't touched when the boat was pulled out for bottom paint. . Lofrans Dorado 900, windlass with controls at helm and forward also. Westerbeke generator 6.5 kW, . Custom stereo with 4ch amp for highs and a separate amp for 12"subwoofer. Icom VHF Upholstery is good and gel coat is shiny. 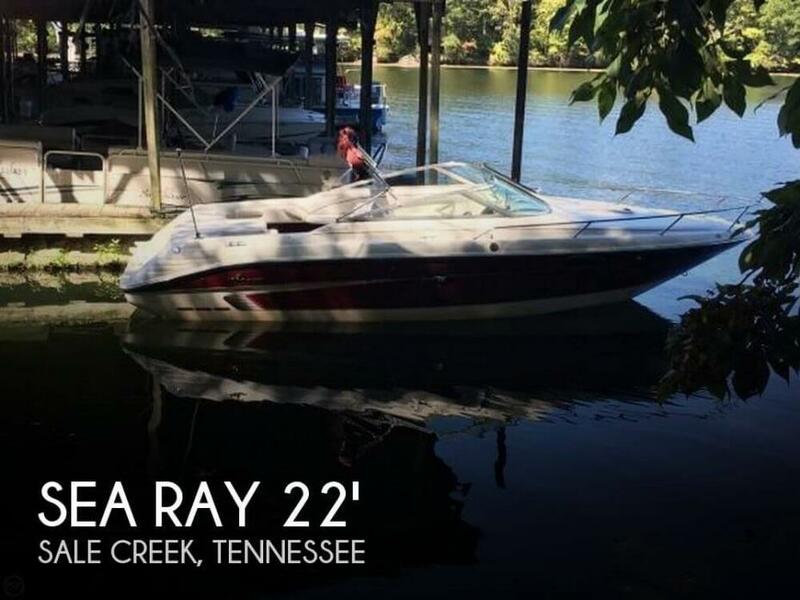 Always kept in fresh water in Tn under covered slip Stock #162603 Huge 34ft Sea Ray 340 Sundancer without the Huge price If you are in the market for an express cruiser, look no further than this 1988 Sea Ray 340 Sundancer, priced right at $27,900 (offers encouraged). This vessel is located in Allons, Tennessee and is in great condition. She is also equipped with twin Mercruiser engines. 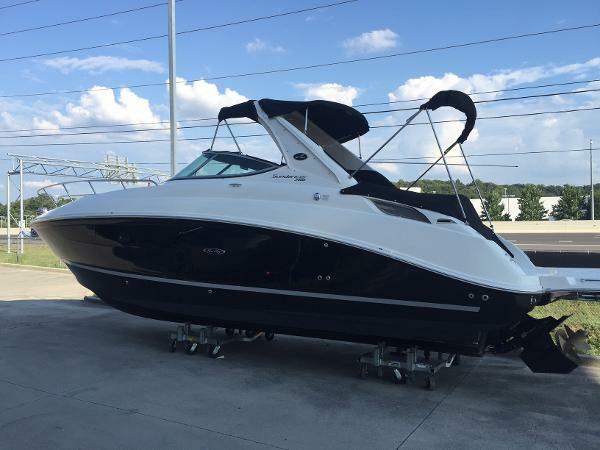 2009 Sea Ray 230 FISSION 2009 Sea Ray Fission Wake Board Boat for sale. Show room mint condition, snap out carpets in great shape. 350 Mag DTS, dual counter rotating prop. Trailer with new tires, wake boards as well as ropes included. One of a kind, anniversary edition, serial #1. Tons of storage and great tower for stowing wake boards. 1998 Sea Ray 330 Sundancer 1998 Sea Ray 330 Sundancer This is a very clean 330DA that was sold new here and is a two owner always undercover. Loaded with 370 hours on 7.4l MPI V-drives; Gen; Air; Spotlight; Systems Monitor; Crossover Fuel Manifold; Crossover Charging; Wal-Vac; Power Helm Seat; Hydraulic Steering; Windshield Defogger; Electric Sleeper Sofa; Raytheon Electronics Package; forward Deck Sunpad & Tan Dash. Blue Canvas & Trim with Gold Brightwork. This boat has been extremely well kept and ready to sell. 2009 Sea Ray 270 Sundancer Elegant, clean and thoughtfully designed, the Sea Ray 270 Sundancer has to be the roomiest 27' on the market today. Plenty of seating, aft lounge, swivel captains chair and companion lounge. Powered by the economical and easy running MerCruiser 350 MAG MPI with 300HP with less than 250 hours. 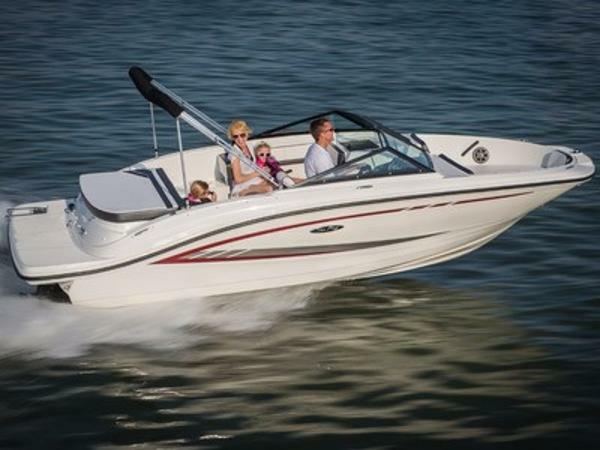 Bravo3 drive for excellent handling, this boat is turn-key ready to go! Spacious accommodations down below with a large V-Berth/Dinette, cavernous mid-ship berth, enclosed head and full galley. 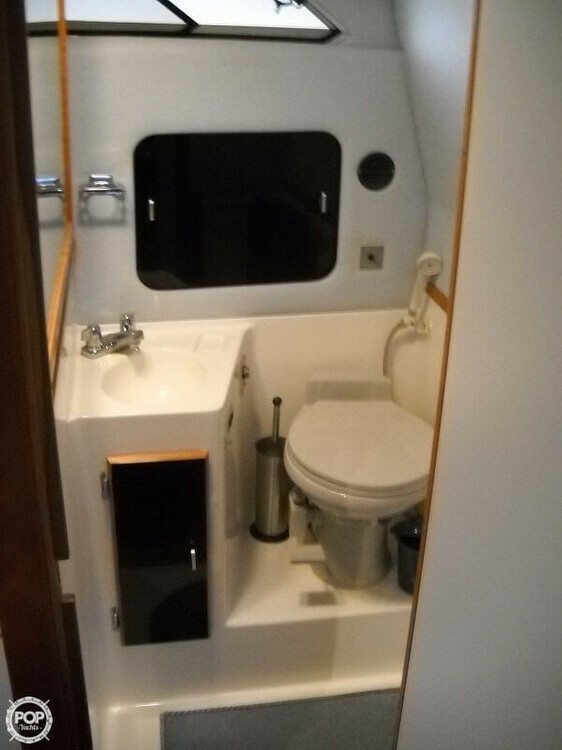 GPS, anchor windlass, Sony Stereo, Exteneded Swim Platform, Complete Camper Enclousre, Radar Arch, Cockpit Sink/Storage and plenty more!!!! More pictures coming soon! 2004 Sea Ray 450 Express Bridge The 450 Express Bridge was created with entertaining in mind, built with several leisure areas that ensure a comfortable and enjoyable cruise for everyone on board. Space abounds in this superbly designed 45-foot sport yacht that features two staterooms, two full heads, three entertainment centers, and a bow area that can be completely converted into a sunpad. The compilation of these features gives an excellent blend of ample seating, entertaining and sleeping accommodations! 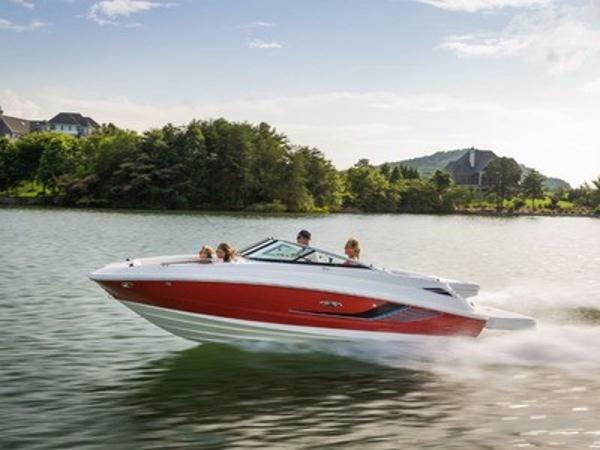 This boat is uniquely designed with a centerline walk-thru bridge and has a wraparound helm considered as an ergonomic masterpiece and the finest ever designed by Sea Ray! She is sleek, roomy, and has been used in fresh water only! This one is absolutely loaded with options which include but are not limited to: Hydraulic Swim Platform, Sat TV, Bow Thruster, Cherry Interior, Highly Desirable Two Stateroom Layout, Dark Countertops, Raymarine Color Chartplotter/Radar, Raymarine Autopilot, Vessel View Smart Craft, Cummins 480 CE engines, and Onan Generator with Soundshield. 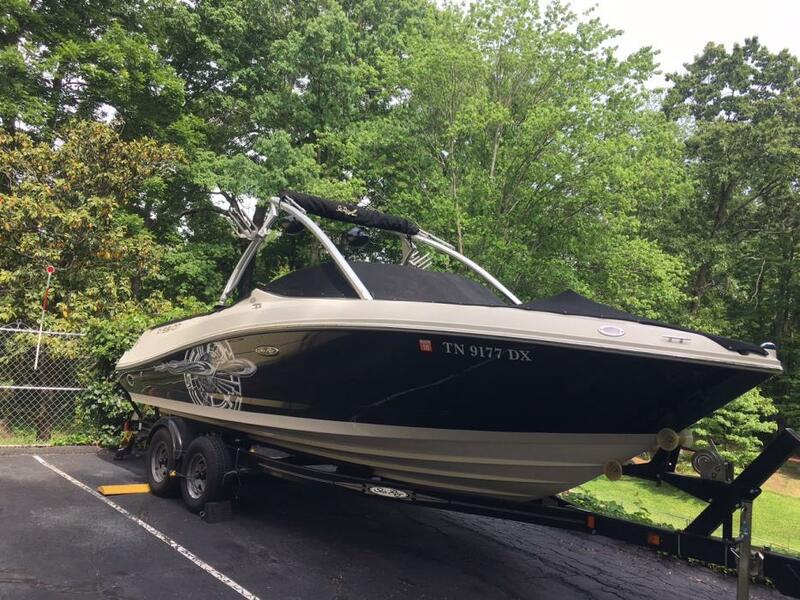 We would love the opportunity to show you all that this boat has to offer!RECOVERY ROOM key features include (but are not limited to): Twin Cummins 480CE at 480hp a pieceOnan 9kw generatorBow thrusterHydraulic swim platformBow sunpadMercury VesselView SmartcraftKVH M1 Sat TVST7001 AutopilotRaymarine RL80CRM300 GPSRay VHFRadarEngine synch through the Cummins Cruise commandCentral vacuum systemIntellipower battery chargerGlendening cablemasterMagna barbecue grill3-burner Kenyon cooktopBlack and Decker spacemaker coffee makerGalvanized anchorVinyl bridge enclosure...and many more! Call to make an appointment with her! Note: Preliminary listing only. More photos to follow.